We are back with another ‘where are they now’, and today it’s all about Carlos López Fernández from our HEX 1.4 program in San Francisco. Carlos is the Founder and mastermind behind Numu. Numu is a social technology which gives all social media users equal power to earn points and be rewarded in the real world for any impact they create online. The best part — you don’t have to be an #influencer to join and start earning rewards. Carlos completed his Bachelor of Commerce at University of Adelaide, before commencing a Masters in Financial Analysis at University of New South Wales (UNSW). While at UNSW, he participated in a startup launch program where Numu was born. 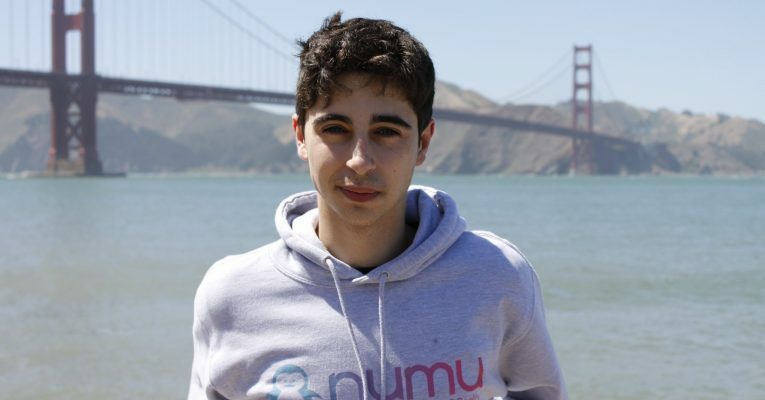 Carlos continued to develop Numu while on the Hacker Exchange program to San Francisco in June 2018, making connections, gaining skills and validating his market. Today. Numu has successfully closed their first investment round with 80% sourced from international investors. We sat down with Carlos and asked him to tell us a bit about his journey. Tell us why you created Numu? When we think of influencers we tend to associate them with a popular social media account with a high following rate. Numu believes that the everyday individual is an influencer as we all have the ability to influence our own environment. We create constant influences every time we post new pictures, comment or tag on social media. Quite often that also means we are giving free publicity to our favourite companies without being rewarded for it. Numu is the only reward system that automatically tracks, calculates and rewards you based on your social media activity. What was something that surprised you about raising investment? As a Seed Funding Round, I was surprised how straightforward the whole process can be if you find the right people, regardless if they are Australian or not. 80% of our funding came from overseas investors that I never met before and it was surprisingly easy for us to build the trust and complete the process once we were able to communicate our value clearly. *Editor’s Note, a ‘Data-Room’ means having all your back-end processes, finances, operations, legals and documentation in order. What tips would you give to a new entrepreneur? If you are a first-time founder, make sure you get a few great mentors and ensure that they have relevant industry experience to provide help where you need it. Once you start taking advice from multiple mentors you can struggle to stick to your primary goal. I’d also advise early-stage founders to find cheap resources to create a decent MPV or proof of concept and then go and try to sell it — or at least pre-sell it to real clients. You do not need to get to 10/10 for your product before you go to market. I feel like a lot of Founders get lost on buzzy words and forget that you first need to create real value, which most of the time somehow means making money. What was one of the most important things you learned in Silicon Valley? Silicon Valley and the Hacker Exchange program were a great way to understand the real meaning of “hustle” and the American way of doing business. I was often asked to “get to the point”! Learning the pace of business in a big market had a huge impact on the company. It helped everyone on the team to understand that their working time means money, and if it does not pay-off then I we are not really creating value for Numu or our stakeholders. On top of that, joining HEX and learning from Silicon Valley experts also gave us a lot of credibility to reach out for investors and even closing sales with SA local clients. And finally, what’s next for Numu? We will launch our first commercial version of Numu in Australia in February 2019 after successfully testing our beta version with 10 local companies in Adelaide and receiving 10,000 download requests. This includes the launch of in-store hardware screens to redeem your benefits. We recently signed up a partnership agreement with ABACUS point-of-sale software that will allow us to provide iPads and training material to every registered company within 48 hours. Our investors are also preparing the company for a Singapore Beta launch and we are already opening conversations with international VC funds for a Series A round for the second half of 2019. We couldn’t be any more excited about what Carlos and our Alumni are doing. Keep grinding Hexies! Want to follow Carlos’ journey?